Let’s take a look at how the SoilFixer trial beds are coming along. I’m participating in a trial for Soilfixer.co.uk, testing two of their compost / soil enhancement products against regular compost and plain soil. 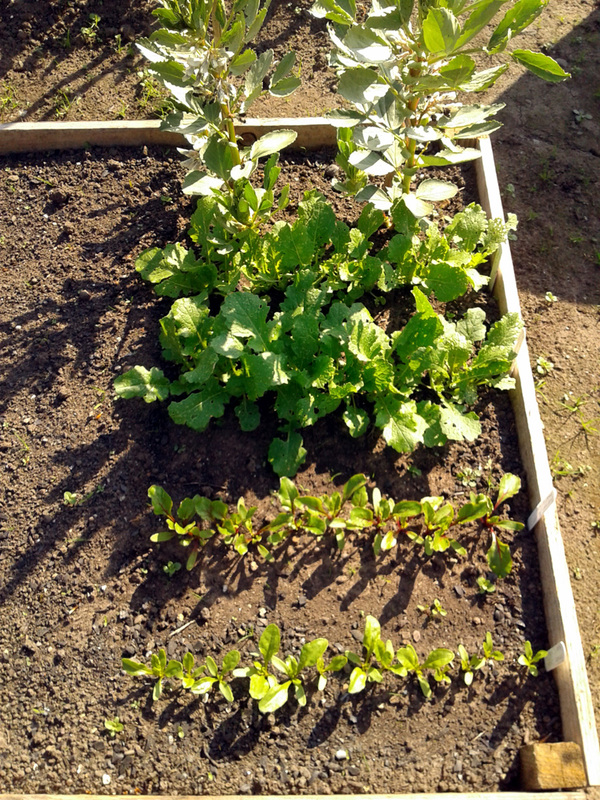 In mid-April I’ve set up four small raised beds, and planted broad beans and sowed two varieties each of turnip and beetroot in each. The simple aim of the trial is to assess whether the product-enhanced beds result in better crops. Each bed was planted with two broad bean ‘The Sutton’ plants (stated off in modules in the greenhouse, in identical, shop-bought compost). 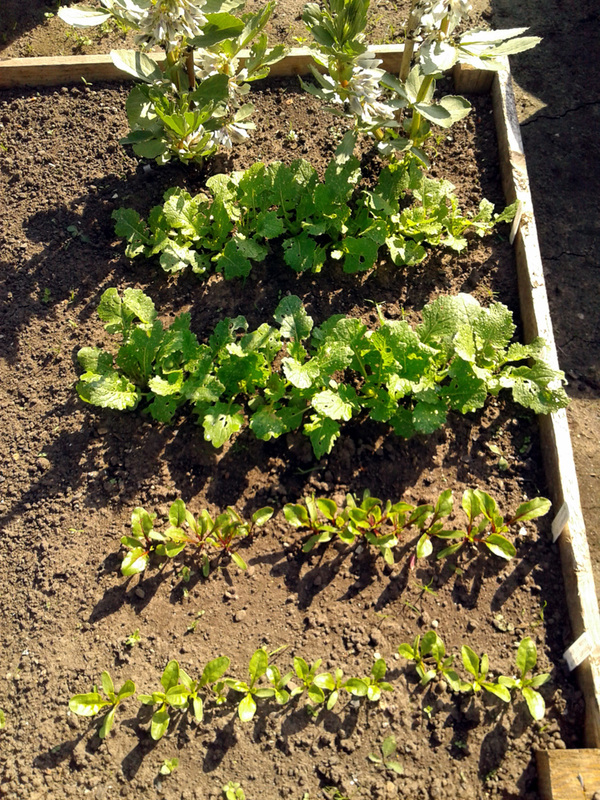 I also direct-sowed a row each of beetroot ‘Detroit 2’ and ‘Boldor F1’, and turnip ‘Purple Top Milan’ and ‘Petrowski’. 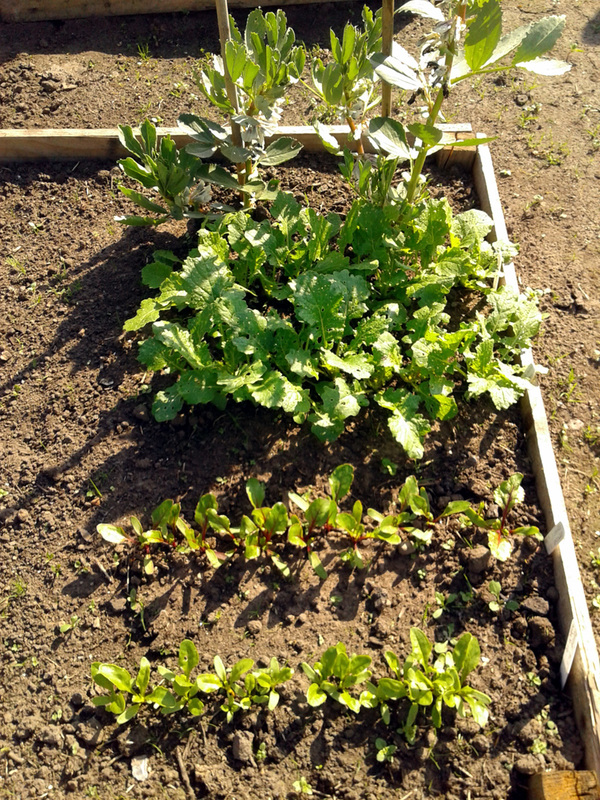 At this point all four beds were thinned to 10 or 11 beetroot and six turnips per row. As you can see, much of a muchness. But the end result that matters is the quality of the crops, so there’s still a way to go before I can draw any firm conclusions. 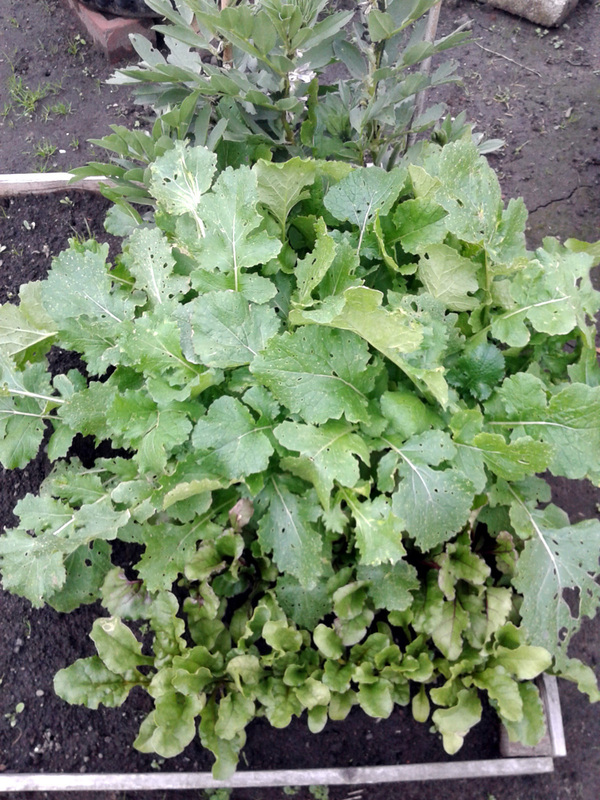 I’ve planted out a pair of ‘Redbor’ kale in each bed, to start filling up the as yet un-planted half. I’ll be adding two or three cabbages before too long as well. Trial bed #3, SF60, no blackfly? 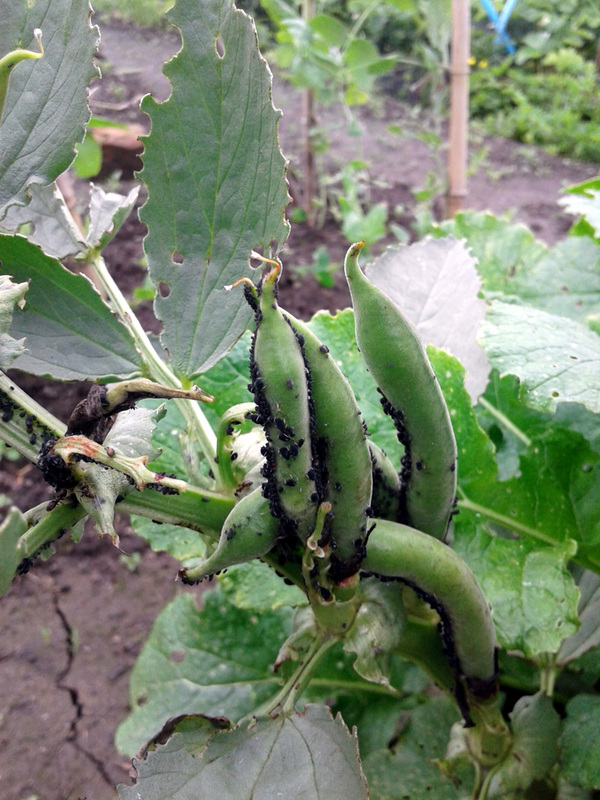 A couple of days later I checked again, and there were now a few blackfly on the bed #3 beans. It could be that the pest just hadn’t found these beans when I took the pics on the 11th, or it could be that something in the SF60 imparts a quality to the beans that makes them less attractive to the fly. It would need a much larger trial to reach a firm conclusion, of course. 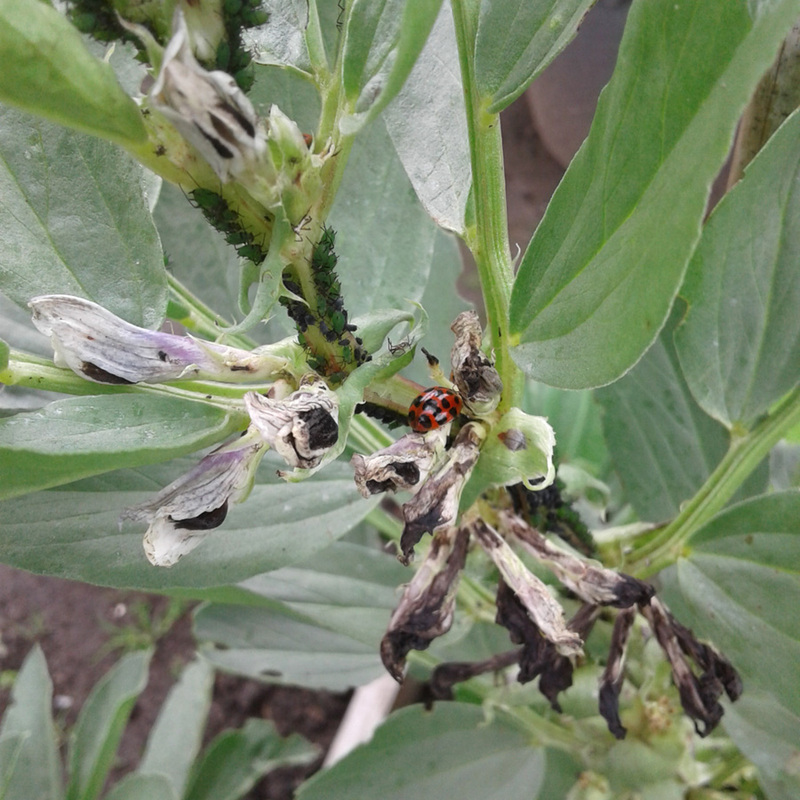 Organic pest control, ladybird style. As I mentioned, it did seem as though the SF60 bed produced slightly stronger seedlings, but as all the others have performed as well in the long run, it may just have been a quirk in the seeds. 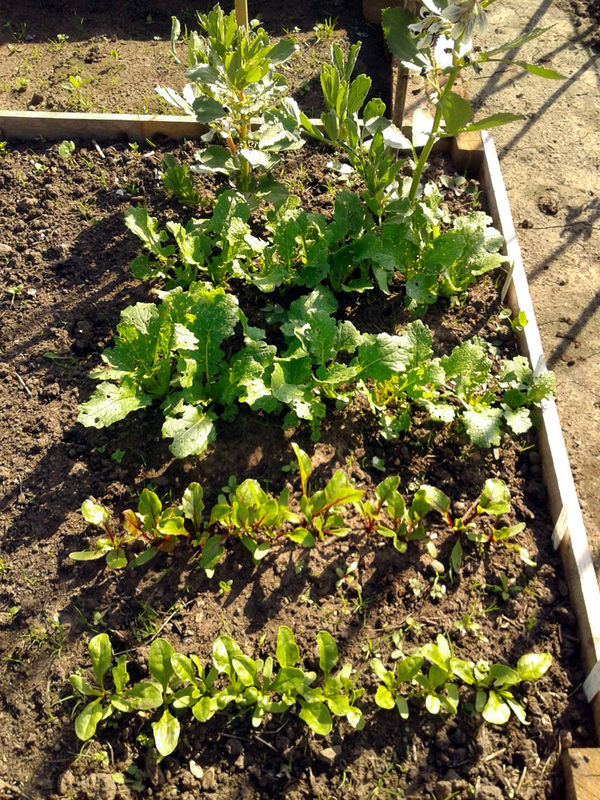 Also, all four beds have been quite weedy – as you’d expect on an allotment site such as ours; very windy and so open to incomers from all directions – but the two compost beds were the weediest. That’s more likely to do with the quality of the home-made compost that was used. Sterile, shop-bought compost might have resulted in fewer weeds, but the point of that part of the trial was to see if the C.H.A. produced better home-made compost, so the weed seeds were probably inevitable. I’ll continue to observe and record, and the next update will hopefully include a cropping comparison. Down on Plot #59, Jo and I are always keen to expand the range of edible crops that we grow, especially anything that stores well and can be used over winter, when there’s usually a lack of fresh stuff to harvest. This year I decided to try three South American tuber crops that I’d heard about: Yacon, Oca and Ulluco. Smallanthus sonchifolius produces large, crisp (some say brittle) tubers that, based on the pictures at downtheplot.com look a lot like Dahlia tubers. According to Mark Diacono, writing for The Guardian back in 2010, they’re crunchy and sweet-tasting, and can be eaten raw in salads, or as a snack. Sounds great. I bought a pack of growing tips from The Real Seed Catalogue and started them off in pots in March. 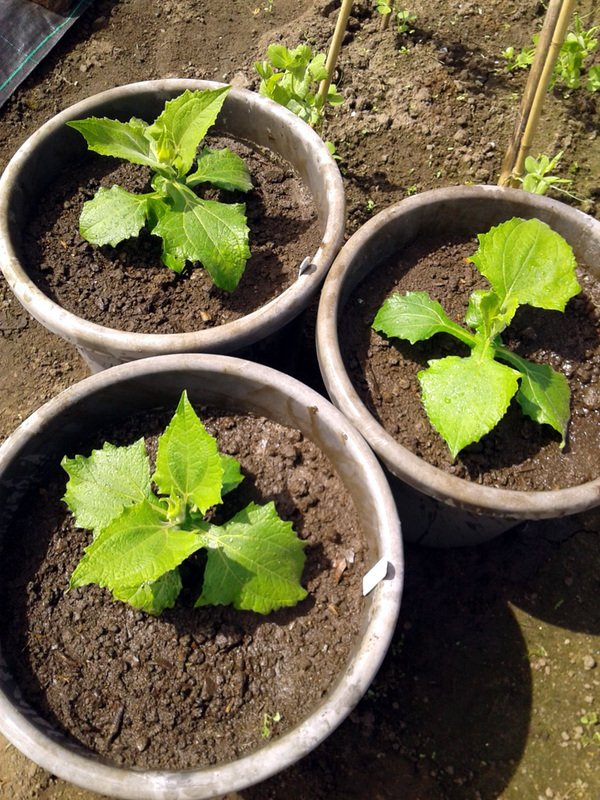 I potted them on when they started to sprout and then planted them out in large plastic tubs last month. 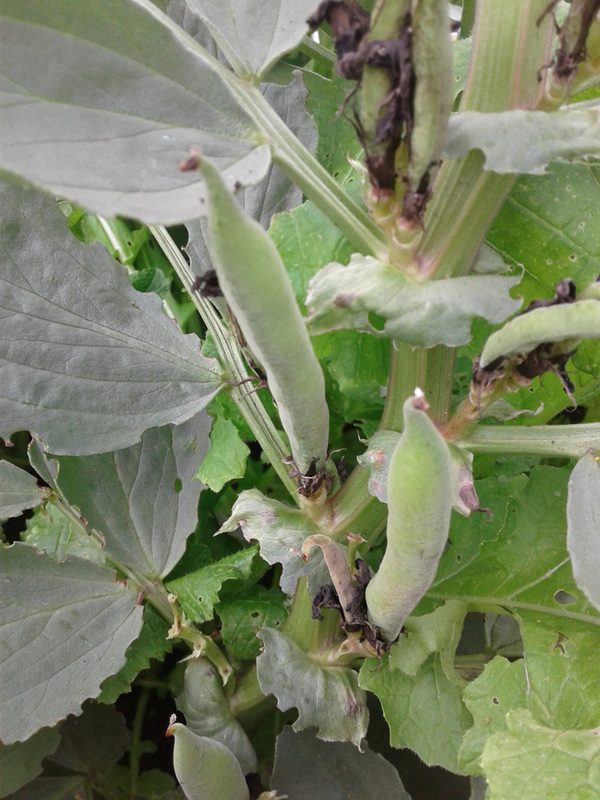 A few sources had suggested that ground-grown Yacon can be difficult to harvest due to the tubers’ habit of snapping too easily, but turning them out of pots was a lot easier. Growing the plants in large tubs or pots makes it easier to harvest the brittle tubers. Harvesting should take place just after the first frost, before any prolonged cold spell has a chance to damage the tubers. So that’s a job to do around the same time that I’ll be lifting and storing the Dahlia tubers. Oxalis tuberosa is a relative of the wood-sorrel that develops clusters of small, knobbly, often brightly-coloured tubers. They’re growing in popularity, with organisations such as the Guild of Oca Breeders working to spread the word. The tubers can be eaten raw or cooked much as you would a potato: roasted, boiled or mashed, they’re apparently quite sweet-tasting. I bought a variety called ‘Dylan Keatings’ from The Real Seed Catalogue and was sent six or seven smallish tubers. 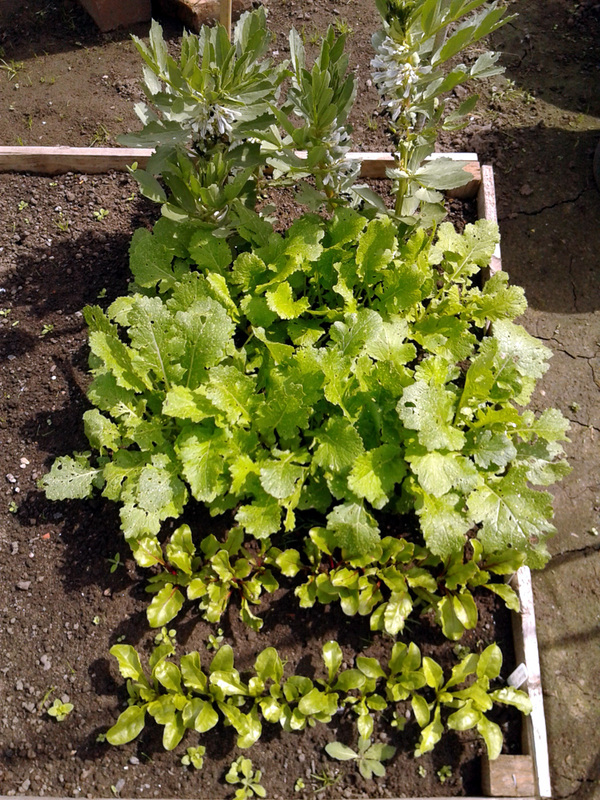 I started them off in large modules and three of them sprouted into strong, healthy-looking plants. Planting Oca on ridges is recommended to make harvesting the tubers in winter a lot easier. 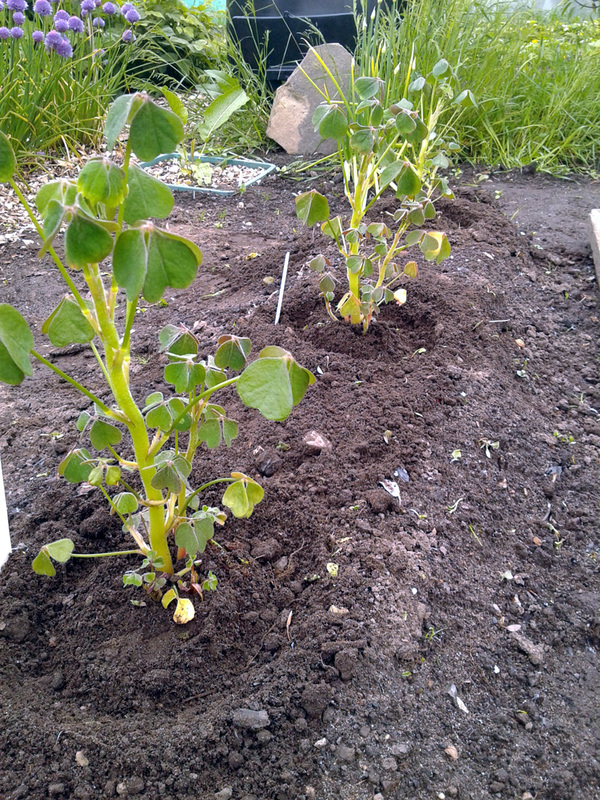 Once again I followed the advice on Downtheplot.com and planted them out on ridges of soil. Oca tubers don’t start to form fully until after the first frost has killed the leafy part of the plants. Leaving them a couple of weeks after the first frost could mean levering them out of cold, wet mud, and the process is meant to be much easier if you can dig them out of a ridge instead. Ullucus tuberosus, the third of this year’s new tuber trio, is very similar in appearance to the potato, but in a much wider spectrum of colours, from golden yellow to pale green, to bright pink. Once again they can be eaten raw, as well as cooked as you would a new potato. My stock came from Incredible Vegetables, and I’ve been following the detailed growing advice on their website, along with added notes from Downtheplot.com (very useful site, that. I wonder if it’s still being updated?) 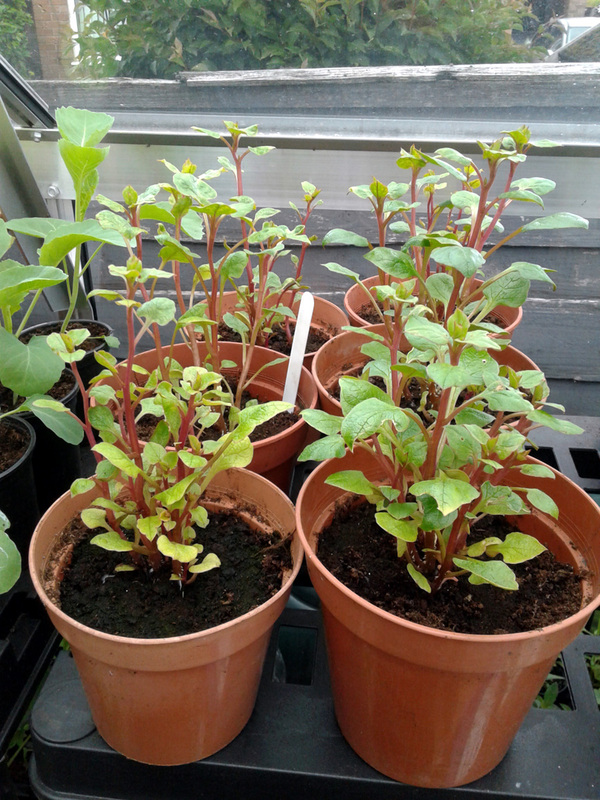 As a result, the plants are currently in pots in the greenhouse, pending planting out once the current spell of grim weather seems to have safely passed. I might even wait until I’ve harvested this year’s garlic and re-use that part of the plot. These plants will go out once conditions improve and grow on until late November. Late November to December is harvest time, and they do need to be earthed up, so I’ll grow them on ridges as well. Jo and I are looking forward to trying all three of these new tubers over the winter. We might even give Dahlia tubers another go and make it a foursome. If you grow them regularly yourself and have any top tips on cultivating the best crop, please do leave a comment below. Any advice would be very gratefully received. 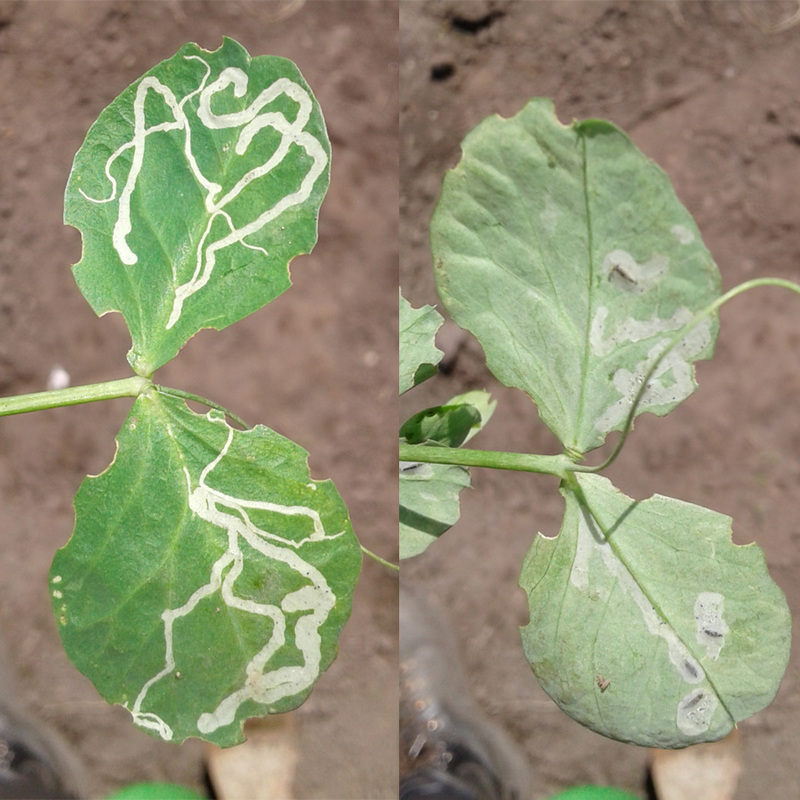 The tell-tale tunnels that are the sign of a leafminer problem. On the top of the leaf you can see the obvious tracks of leafminer tunnels, caused by larvae munching their way through the soft, tender leaf tissues. On the back the leafminer pupae are equally obvious. According to the results of my Google-based research, this could be caused by any one of a small number of leafminer species. The damaged leaves will be less photosynthetically active, slowing the rate of plant growth. And whilst it’s not a drastic problem, short of using some pretty drastic chemical sprays, the only sensible course of remedial action is to remove the affected leaf section and add it to the council green waste bin. Which of course further limits the growth rate of the plant. The damage seemed to be limited to one pea-plant, hopefully it’s under control for now, but I’ll be keeping a close eye on all our peas and sweet peas to make sure the problem doesn’t escalate.